If you have a network of blogs that cover a wide list of topics then each of such blogs have a lot of terms that are commonly part of your posts.For example you have a automobile blog and there are different terms like the engine type, torque, power etc., which might be difficult to interpret or understand for a novice or a casual reader. Create a new Category and keep a note of the category id of the new category. 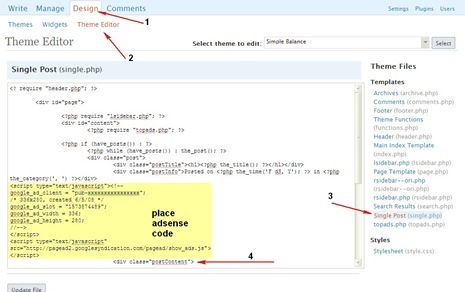 Next create a new file in your theme folder with the following name category-2250.php where 2250 should be replace with the category id from the first step.This makes sure that the category whose ID number is 2250 would look different from the pages of other categories. The contents of the category-2250.php should be like your archive.php with this small code added before the WP loop. where 2250 is again the category id and don’t forget to replace the <?? with <? and ? ?> with ?> if you copy the above code. Adding terms to the glossary is similar to adding a new post, the only important thing to remember is to add the post as part of the category create and not as part of any other category. After that try accessing the category page you just created and you should be able to find the glossary. 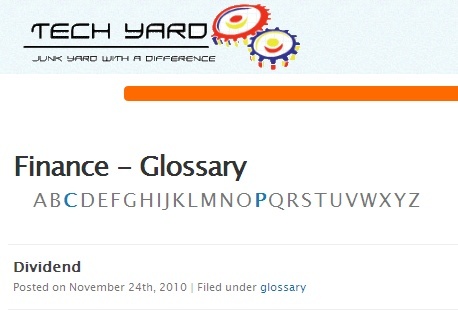 Now add a link to the the category and you should be able to browse your glossary. 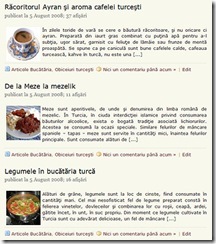 Using the above method you can create any number of glossary on a single blog.